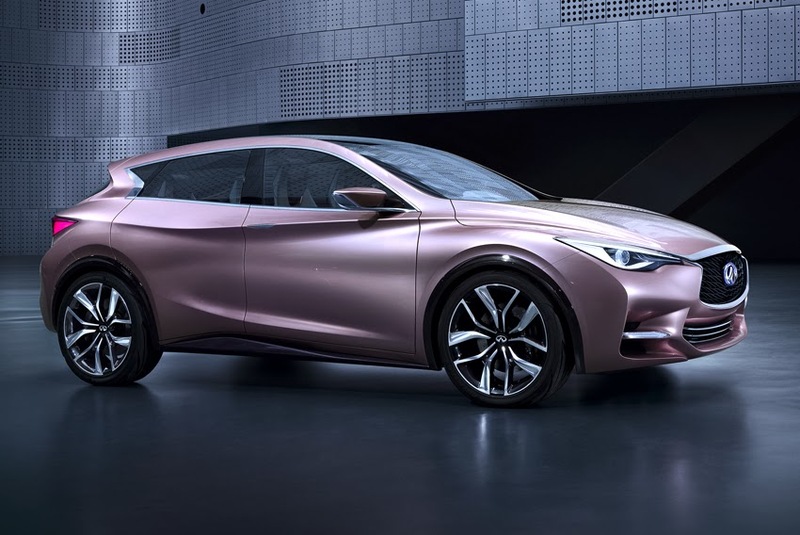 The Infiniti Q30 Concept, the next step in Infiniti's strategy to expand into new premium segments, made its North American debut at the Los Angeles Auto Show. individualized character for a new generation of premium customers. The compact premium segment is forecast for significant growth with the entry of young-minded affluent customers. "The Infiniti Q30 Concept is highly predictive of a new head-turning premium compact that we will launch in early 2015," said Michael Bartsch, Vice-President, Infiniti Americas. "It is the perfect addition to our current portfolio of advanced sports sedans and coupes, luxury performance crossovers and full-size SUVs." "The Q30 Concept has a compact footprint geared to the global trend of younger customers entering the premium sector in search of a product that suits their urban lifestyle," added Bartsch. "The concept's vision is to be the alternative to the practicality and conformity in the compact car segment." The Q30 Concept shares key Infiniti design cues with the new 2014 Infiniti Q50, while charting even more adventurous design language and sculpting. It also incorporates dramatic design cues from visionary Infiniti concept vehicles - Essence, Etherea and Emerg-e. The shape of the Infiniti Q30 Concept deliberately challenges convention – fusing the dynamic design and sportiness of a coupe, the roominess of a hatchback and the higher stance and visual presence of a crossover. Infiniti designers were given the freedom to explore seductive alternatives to traditional premium automobile brands. The result is a very modern design with a sleek silhouette, dynamic character and artistically sculpted, individualistic interior design. It features a dramatic exterior shape, particularly the body sides, which include bold sections, deep undercuts and intersecting lines. "Research among the new generation of buyers - with Gen X and Gen Y soon to represent 80 per cent of the market - shows an increasing rejection of traditional notions toward premium cars," said Bartsch. "These buyers are less willing to connect size, presence and high-output power as key ingredients of the premium product. Rather, they're looking more for balance, great design and outstanding execution." The bespoke feel of the Q30 Concept's interior design envisions Infiniti's ambition of interior design and quality leading the premium segment. With its warm, inviting and emotionally engaging experience, the Q30 Concept eschews the more clinical approach found in other premium brands. The designers achieved this through pursuing highly sculptural shapes, featuring a unique execution of Infiniti's 'dual wave' effect and pursuing the notion of dissymmetry. Dissymmetry, an unconventional approach, orients design features - from air vents and armrests to the instrument clusters - for more sculpted visual appeal. The overall effect is enhanced by the harmonious contrast of materials in the cabin. The initial impression is a black-and-white theme, but closer examination reveals a richer feel characterized by cream leathers and a slight bronze effect adding warmth to blacks, creating sumptuous warmth. Just as younger premium customers have embraced furniture design, fashion and clothing, Q30 Concept's interior conveys an understated expression of personality for its target customer. The careful choices of colors, materials, contrasts and accents express thoughtful coordination. "Younger and younger-minded premium customers inspired the Q30 Concept design team. They feel their lives are no longer aligned to one straight line in terms of career or lifestyle," said Bartsch. "Today is more about fluidity than rigidity, and that offers the freedom not to follow the norms important to a previous generation. The Infiniti Q30 Concept's vision is to be the ideal car for them."